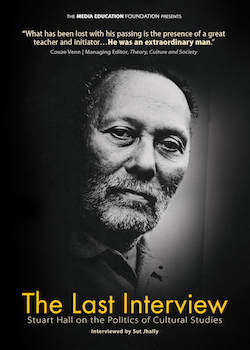 "Thanks to Sut Jhally's powerful last interview, Stuart Hall continues to instruct, illuminate, and inspire. His call for a conjunctural analysis of this moment, placing race and crime at the center, is not only prescient, but, given recent developments, absolutely necessary to our political survival." "What has been lost with his passing is the presence of a great teacher and initiator...He was an extraordinary man." "For me he was a hero. A black man who soared above and beyond limitations imposed by racism and one of the leading cultural theorists of his generation."